Do you own a recently released pet? In order to display pets in our database, we need to find the URLs for them. With the males, this is easy, because they all end up at the Rainbow Pool, but the females have to be found manually. And the 8-letter code is therefore qqb4ck96. Thank you all for helping us keep our pet displays up to date! Feel free to post here if there are any problems; you can also do so if you see a pet has been added to the database incorrectly and is missing clothes, or has extra ones. Re: Do you own a recently released pet? The old page has been moved to an admin area because it's been superseded by these. Currently my lab pet is a female pastel kougra, so I added her to the images. If she turns into anything else we need, I'll be sure to add it. Also, I know you're busy, but the pastel hissi has the male code for the female forms. I'm not sure how to fix that. I own a female swamp gas kacheek but that hasn't been added to the database at all As soon as I can I will gladly submit her image! 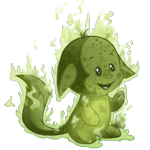 grizzegrijn wrote: I own a female swamp gas kacheek but that hasn't been added to the database at all As soon as I can I will gladly submit her image! I added her but the image on the front page needs edited. Is Swamp Gas all one word? Also, are there any that need added to the basic area? The Swamp Gas Kacheek was not there until I added it to the front page. The second line wasn't for me, was it? Thanks for adding. Well, the colours as they appear on the look-ups and in the Rainbow Pool are not necessarily the same as the ones that are used in the news (which is where the front page images come from). So even though it may read Swamp Gas, the word I'd need for the front page could be swamp_gas, swampgas, gassy, swampy or similar. I just can't remember when the last one was released to check the news for the right word. Technically the first wasn't either, but I'm always glad to get help. I also enjoy helping out here when I have time (which hasn't been too often for a while). Actually, that's exactly what I meant! Thanks! I put in a code for the new Stealth Cybunny (female) but she was not "stock". I have the new stock code now, 4mwcv5xk. I'd just like to say here that I'm very grateful to everyone who's been adding new pets and images as they come out. Thanks all!